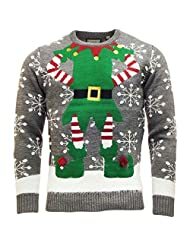 Novelty Knitted Elf Christmas Jumpers Like Grandma Used To Knit - Sniff It Out! Sniff It Out! Christmas will be here before we know it and the good news is that we can get out those cheesy Christmas jumpers, like the ones that Grandma used to knit, and wear them with pride! 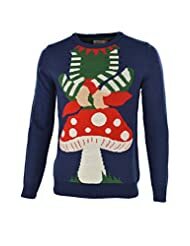 Yes, knitted Xmas jumpers are all the rage this year, and the plus thing is that we can buy them ready made without fear that it will be two sizes too big, or too small... which was sometimes the case when we used to get that dreaded yearly present from Granny! In fact you can spot TV personalities wearing these as the festive season draws near! 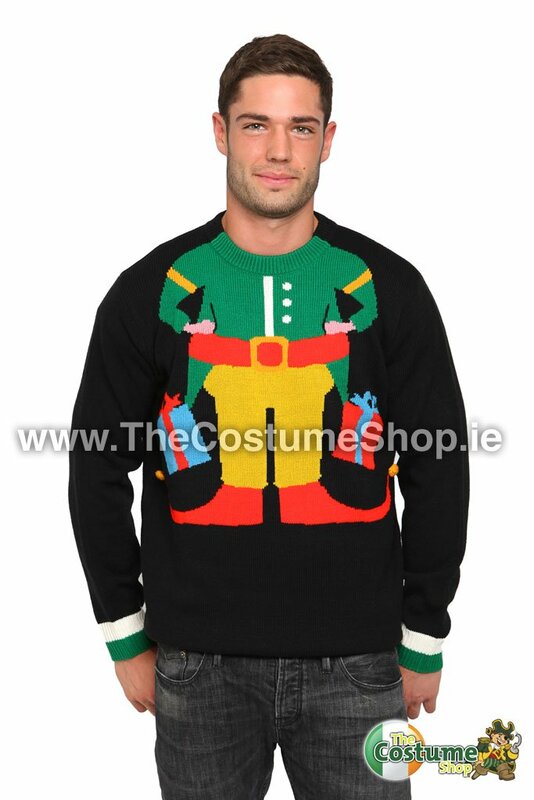 Brand new for Christmas 2013 is this limited edition Elf jumper, shown left! I love the cute little Elf design with his 'wobbly' eye and candy cane! It is a good quality, chunky knitted jumper, designed to keep you warm this Christmas! Machine washable and in a range of sizes from XS to XXXL! Hurry and get yours soon, they won't last long! These Xmas jumpers really are bright, and fun, aren't they! 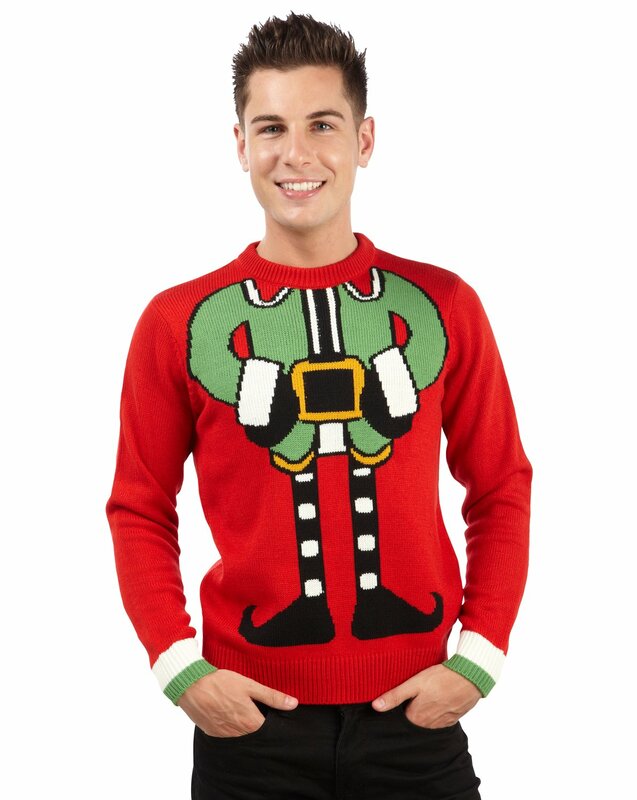 These cute Christmas Elf jumpers would make an excellent Christmas gift, or wouldn't it be fun to have a themed office Christmas party where everyone had to wear a cheesy Christmas sweater!